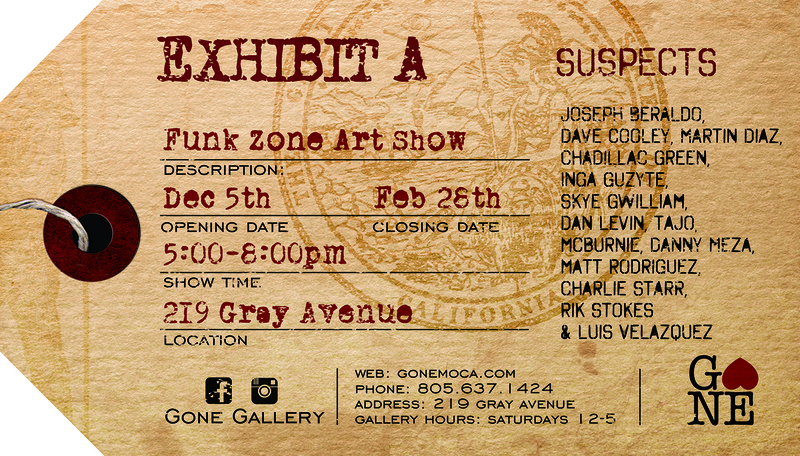 The Funk Zone’s street/contemporary art venue Gone Gallery is opening their first official group show, “Exhibit A,” tomorrow, Friday 12/5 from 5-8pm. The show features paintings, sculpture, assemblage, video and installations from 13 local artists! They’re located at 219 Gray Avenue just off Yanonali. Drop by if you’re in the hood, should be a good one!